The wreckage of the Cessna 172 aircraft which crashed into the Delaikoro mountain last week will be recovered by a combination of human manpower and helicopter airlifting. This was confirmed by New Zealand investigator, Andrew McGregor despite heavy rain in the North these past few days. Mr McGregor was appointed by the Fijian Government as the independent investigator to determine the cause of the crash. “Despite our many attempts, the weather has not been good and is hampering the search of the wreckage. Also, the terrain is very steep and mountainous and accessibility is not straightforward,” Mr McGregor said. 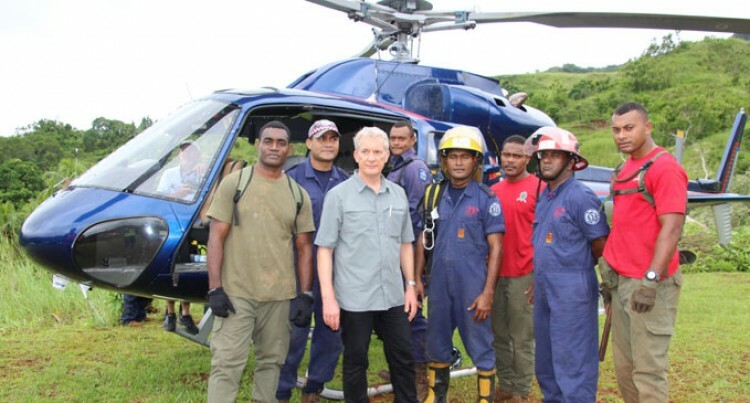 His team are being assisted by the Republic of Fiji Military Forces, Fiji Police Force, National Fire Authority officers and Dogoru villagers. Last Saturday Mr McGregor and his team presented their i sevusevu to the village headman at Dogoru village seeking their approval and blessing to carry out their investigation. Pacific Flying School instructor Iliesa Tawalo and student pilot Merelesita Lutu were on a routine training flight when the Cessna 172 registration DQFTR they were travelling in crashed into a cliff at Delaikoro last Monday.